It is essential to have a good collection of baking equipment and decorating tools to successfully produce decorated cakes. 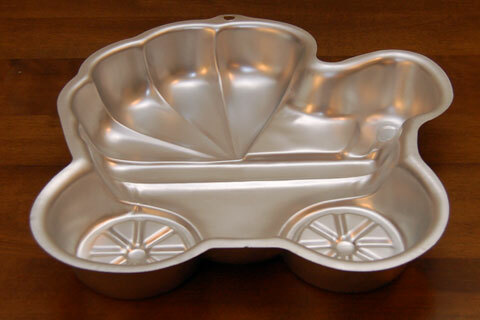 Baking pans are needed to bake cakes. 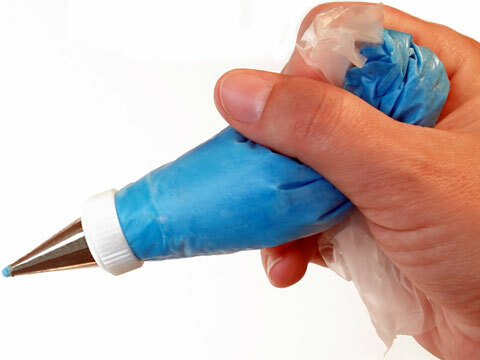 Decorating bags and tips are used to shape and size the icing decorations. Start with a box or case to hold your tools. Carriers are available with trays to hold all the decorating tips in an organized fashion. Decorating tips come in a host of shapes and designs. They are used with a coupling attached to a pastry or icing bag. You may only need a few tips to get started; these tips, couplers, and flower nails can often be purchased in a cake decorating tip set. These sets usually contain a variety of star, round, leaf, or petal tips. 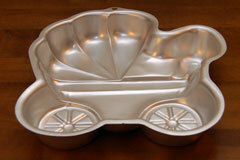 Baking pans come in all sizes and shapes, some quite specialized. Many of the primary shapes, such as round and square, come in various sizes that enable bakers to make appropriately sized cakes for parties and other occasions. Multiple sized cake layers may also be used to produce tiered cakes, such as wedding cakes. Other tools needed to produce decorated cakes are cake cooling racks, icing spatulas, and perhaps rulers and leveling tools. The more creative you are, the more elaborate your cakes can become. A skilled cake decorator uses specialized tools not only to squeeze out icing shapes and flowers, but also to stencil, airbrush, and paint color highlights. 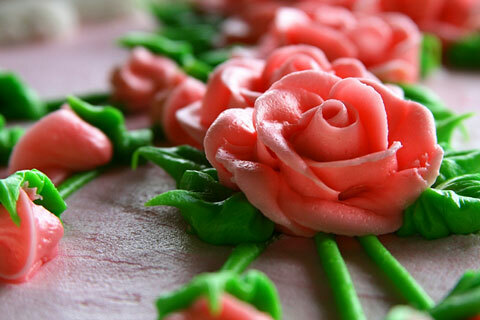 Professional cake decorators often create gum paste flowers and color flow designs. Visit the suppliers listed below to find an extensive selection of cake decorating tools, supplies, and accessories. A leading brand name in baking and cake decorating products for over 50 years. Find cake decorating classes, products, techniques, and forums on their extensive website. Manufactures and distributes a comprehensive line of cake decorating items. Supplier of innovative cake decorating products. Find a broad selection of cake decorating, candy making, and cookie baking supplies. Find detailed recipes and instructions for baking and decorating a wide variety of cakes for all occasions. Decorating cakes in artistic ways is rewarding for the artist and the recipients. Find detailed cake decorating and sugarcraft instructions. Offers a complete line of cake decorating, candy making & cookie baking supplies. Specializes in cake decorating equipment and supplies. Sites features a gallery of cake designs. One stop baking shop offers a broad selection of bakeware and cake decorating products. This New Jersey-based candy and cake decorating craft shop features a decorated cake gallery and offers an extensive catalog of food decorating products and accessories.